So Jose Offerman was banned for life from the Dominican Winter Baseball League after slugging an umpire last week while serving as the manager of the Licey Tigers. Our guess: It was merely an effort to maintain his reputation as an all-hit, no-field player. Offerman, of course, reminds us that an entire section of baseball’s Code is devoted to umpire relations. 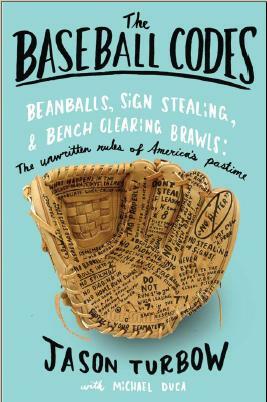 The unwritten rules, of course, while doing nothing to discourage on-field disagreements with the men in blue, generally solicit more tact than was shown by the former Dodger. Which doesn’t mean that guys don’t occasionally attempt to inflict a little damage of their own. Former pitcher George Frazier told us about the time in 1984, when his batterymate, Indians catcher Ron Hassey, was rung up on a dubious called strike by umpire Joe Brinkman. Hassey’s response: when he came out to catch the bottom of the frame, he gave Frazier a signal to throw a fastball away, but set up on the inside part of the plate. Something similar happened in 1999, when Devil Rays catcher Mike DeFelice failed to put a glove on a Wilson Alvarez fastball that more or less split the plate. The pitch hit plate ump John Shulock’s mask so hard it dented the bars. Once Shulock regained his senses, he remembered that Alvarez had questioned several of his calls throughout the game, and stormed the mound, “yelling and gesturing angrily,” according to the St. Petersburg Times. Leave it to no less an authority than Babe Ruth, though, to affirm that occasional scare tactics against umpires can be effective—and that Offerman was hardly alone in his love of the right cross. It’s well known that as a pitcher for the Red Sox, Ruth took part in a joint no-hitter. Ruth questioned umpire Brick Owens after walking the game’s first hitter, and was subsequently tossed. Reliever Ernie Shore then came in and retired 27 men in a row (including the runner he inherited, who was thrown out on the basepaths). What’s less known is what Ruth actually did to get ejected. At which point the ump threatened to toss Ruth. The pitcher’s response: “Throw me out of this game and I’ll punch you right on the jaw.” Not one to be intimidated, Owens immediately gave him the thumb. “I hauled off and hit him, but good,” wrote Ruth. Good thing Ruth never got the managerial job he so desperately wanted, or he might have ended up like Jose Offerman. Which, as we know by now, is not necessarily a good thing. Of course a guy who hits an ump deserves to get thrown out. Hell, a guy who inadvertently bumps an ump in the big leagues will likely be suspended. That’s why things have evolved from Ruth slugging Brick Owens to Frazier/Alvarez utililzing more subtle measures. And I’m guessing that when Cable slugged Randy Hanson, Hanson didn’t flop quite as badly as the ump in the above video. Congrats, though, Lee, on being the first guy to place Cable and Offerman on the same genealogical tree.